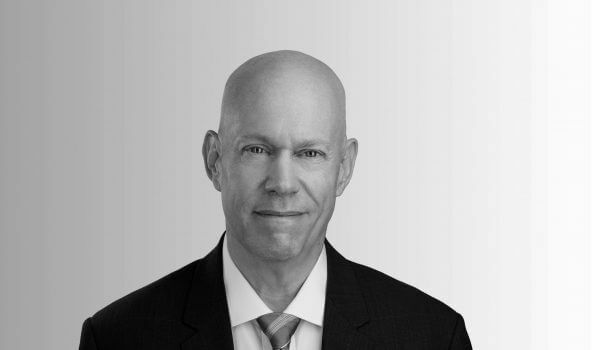 George W. Vie III is a partner at Feldman & Feldman with nearly three decades of trial and appellate experience. Clients have come to know George for his meticulous and dogged pursuit of their cases and his depth of legal proficiency. At Feldman & Feldman, George Vie handles complex appellate proceedings and other litigation matters. Prior to joining Feldman & Feldman, George served as a city attorney. He has also served for over 20 years as General Counsel for the Galveston County Consolidated Drainage District. George has also represented other municipalities and counties in legal matters. In addition to working on behalf of the government, he has also successfully litigated against it. He has represented property owners, companies, and homeowners’ associations against state agencies and local government, such as the Texas Department of Transportation, the City of Houston, and the Port of Houston. This unique experience gives George insight into legal matters other attorneys simply don’t possess. His work both with and against governmental entities makes him an invaluable asset to the Feldman & Feldman team. In addition to his experience with governmental entities, George has served as lead counsel in over 400 appeals and original proceedings. These appeals have varied in subject matter from employment litigation to estate planning. He is one of a very small percentage of lawyers to become Board Certified in Civil Appellate Law by the Texas Board of Legal Specialization. He has held this rare professional distinction since 1995. George is an advocate with the Champion of Justice Society, a nonprofit program offered by the State Bar of Texas that provides legal assistance to the elderly, veterans, victims of domestic abuse, at-risk families facing issues such as home foreclosure, and victims of natural disasters. George’s legal prowess has been recognized by numerous national organizations. He has been selected as a Texas Super Lawyer by Thomson Reuters for the past eight consecutive years, and has been recognized as one of Texas’ Top Rated Lawyers in appellate litigation by ALM. Additionally, George is one of a small selection of lawyers to be awarded the AV Preeminent Rating by Martindale-Hubbell® Peer Review Ratings™, which recognizes strong legal ability and high ethical standards. If you would like to speak with George Vie or any of our skilled attorneys, contact Feldman & Feldman today. We can help you understand your legal options and protect your interests.